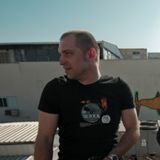 Michael SAB (6A8) (Tel-Aviv / St.Petersburg) producing electronic music since the early nineties under various pseudonyms . Also played keyboards and drums in new wave and punk groups (НЧ/ВЧ) that appeared in the central underground venues in St. Petersburg. In 1991, his musical life changed significantly, with the new wave of techno & acid house music that managed to penetrate the fortified Russia of the days before the downfall of the Soviet Union. The strength of the innovation of this music determined his future style, which became electronic in an all-embracing way. He worked in the field with various artists on joint projects. For the past several years, he has been working on his solo project.